A goal to the good through Lukas Jutkiewicz and in control of proceedings, they allowed their hosts to recover after the break. Blues let Ipswich off the hook at Portman Road. Gwion Edwards equalised inside the opening minute of the second period and the balance of the match suddenly swung in the balance. Blues should have seen it off by half-time but as it was they had to live on their nerves to collect another point towards their survival total. Conversely the result condemned Ipswich to relegation from the Championship. 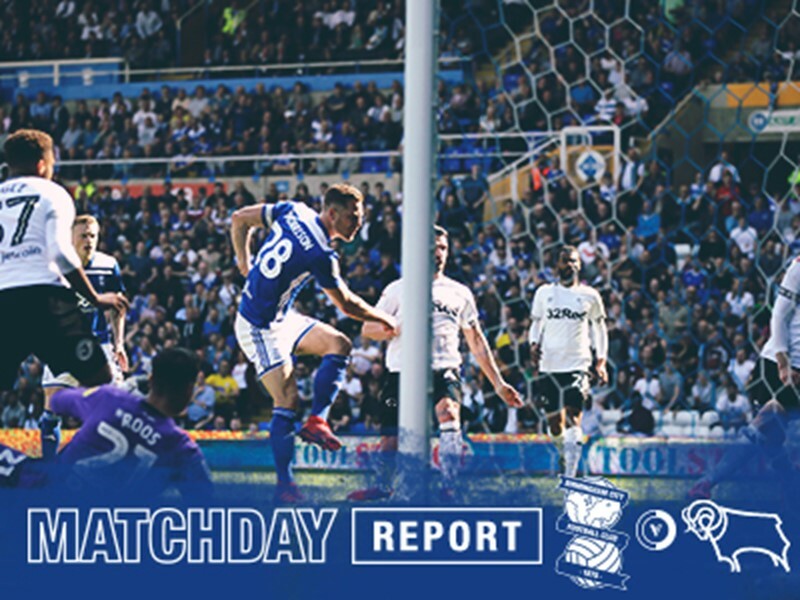 Ipswich gave it a spirited go in the second-half – hitting the post – and Blues also had openings. But it was a clear opportunity to have taken a giant stride towards maintaining their status that had been passed up by Blues. Garry Monk’s men got off to an ideal start as they dominated the opening half-hour of the match. Maxime Colin did superbly to wriggle away from two challenge high on the right and drive towards the byline. He picked out Jutkiewicz with a low cross and the striker did the rest, steering it into the roof of the next from inside the six-yard box. It could have so easily been 2-0 to Blues soon after when again Colin got through on the right, on the overlap, to accept a Jota reverse pass. He cut the ball back behind the penalty spot towards Kerim Mrabti, who scuffed his shot into the ground and as a result it rebounded up and into a defender stationed in front of goal. Bartosz Bialkowski made an excellent save to deny Jota as space continued to be used to good effect by Blues. Mrabti was fed the ball on the left of the area and his low cross was half-cleared, back to Jota. He thumped it first time from 18 yards and the ‘keeper sprung to his right to beat it behind. Blues passed up yet another great opportunity, in the 28th minute, when Che Adams send the ball over from the left of the area to Jota who took a touch before not quite connecting with sufficient power and direction, from close range. His attempt came back off a combination of Jutkiewicz, who was trying to get out of the way, and Luke Chambers. Before the half closed, Ipswich tested Lee Camp from a direct free-kick by Andre Dozzell, which he helped over the crossbar with both hands. Blues continued to get into good positions and promising situations thereafter – including three free-kicks just outside the area - but their wastefulness kept the score to a solitary goal difference. At the start of the second period Blues were caught asleep – and paid the penalty. Ipswich equalised just 40-odd seconds in. Substitute Kayden Jackson – on for the ineffective Dozzell at the break – sent over a lovely cross to the far post and Edwards stole in on Kristian Pedersen to volley it home expertly. Then in the 48th minute Ipswich could so easily have gone 2-1 ahead as Blues were put on the ropes. A good move on the right resulted in a ball to the far stick where Alan Judge caught it well first time and it rebounded back off the opposite post. The ball rolled around in front of goal and Harlee Dean managed to scramble it away behind ahead of Teddy Bishop. Their tails up, Ipswich got the ball into the Blues area again and desperate defending from Michael Morrison denied Collin Quaner but the ball came out to Jackson who curled an effort just wide from 16 yards. 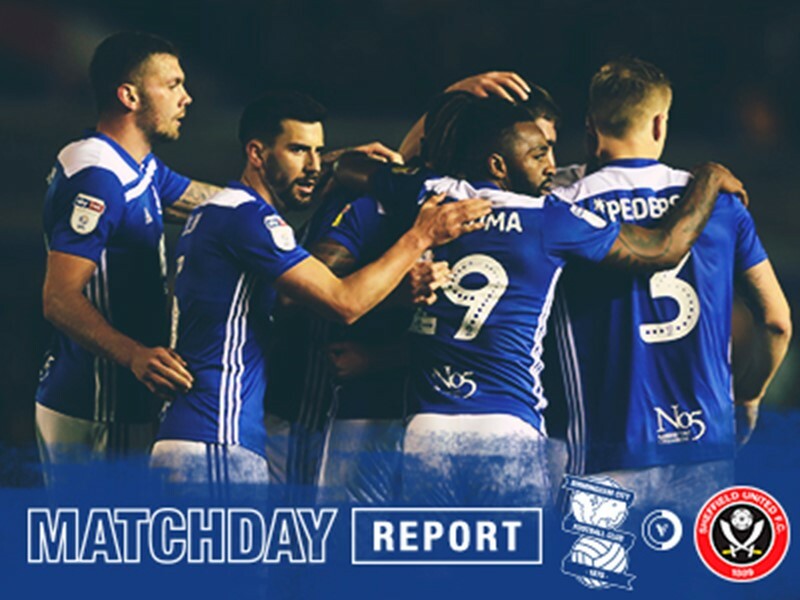 Not to put to finer point on it, Blues were at sixes and sevens and Ipswich – changed to matched Blues up in a 4-4-2 - transformed. In the 57th minute Blues gained some respite, with a counter attack. Jutkiewicz turned the ball round the corner to David Davis, who was surging along on the right. Davis’ cross was killed in the heart of the area by Mrabti who then spun and shot, agonisingly inches away from the top corner. 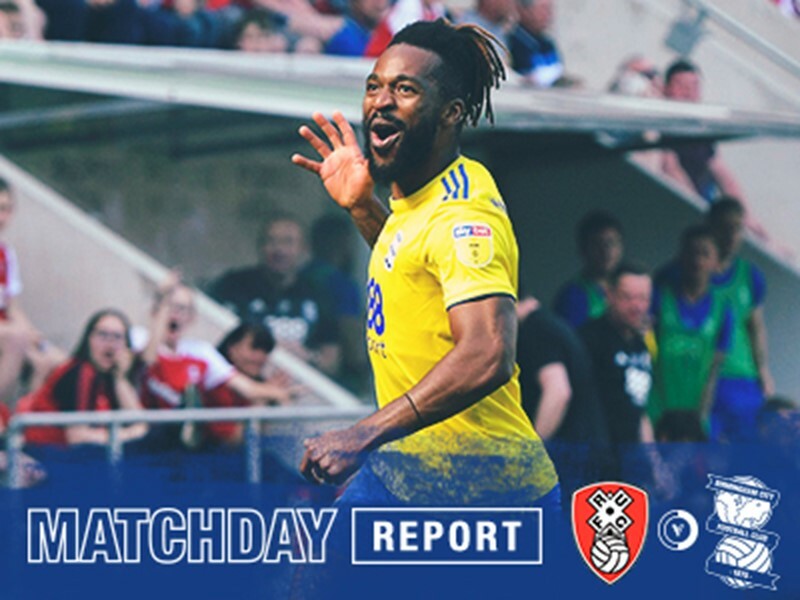 Ipswich came again and from a right wing cross Quaner got on the wrong side of Dean in the middle of the area and although he got a touch on the ball – it went wide – he appealed for a penalty as he went down under grappling contact. Blues first substitution came with 20 minutes left, Connor Mahoney replacing Jota. And not long after, from a Mahoney right wing corner, Blues should have regained the lead. Jutkiewicz came flying in at the far post and executed a diving, thumping header that had power on it – but just a little too much, as it whistled over the crossbar. With four minutes to go Camp came to the rescue when Ipswich teed-up Judge, just outside the area to the right. He struck the ball carefully and with no little venom, but Camp kept it out in spectacular fashion. And in stoppage-time an Edwards shot was goalbound but fortuitously hit the heels of Pedersen, whose error had given Ipswich the sniff. Ipswich (4-2-3-1/4-4-2): Bialkowski, Emmanuel, Kenlock, Collins (Nsiala 60), Chambers, Skuse, Bishop, Edwards, Dozzell (Jackson ht), Judge, Quaner. Subs not used: Gerken, Chalobah, Downes, Bree, El Mizouni. Blues (4-4-2): Camp, Colin, Pedersen, Morrison, Dean, Jota (Mahoney 70), Davis, Gary Gardner, Mrabti (Maghoma 90+1), Adams, Jutkiewicz. Subs not used: Trueman, Roberts, Craig Gardner, Vassell, Harding.